Are you thinking of trying contact lenses? With all of the healthful and convenient options available today, almost anyone can wear contacts. Some people find that wearing contacts is better for their lifestyles, while others find them cumbersome and enjoy the ease of wearing eyeglasses. While wearing contact lenses is a great option for some people, it may not work for others. Contact lenses are thin pieces of plastic worn directly on the eye to correct certain vision problems. Contacts are the perfect correction solution for those who do not want to wear eyeglasses and/or have corrective surgery. Millions of people wear contacts, especially those who lead active lifestyles and want crisp, clear vision without having to keep a pair of glasses on their face. Most people are able to wear contact lenses and enjoy the freedom of being able to see without the help of glasses. If you're interested in wearing contacts, the first step is to have a contact lens examination by an eye doctor. 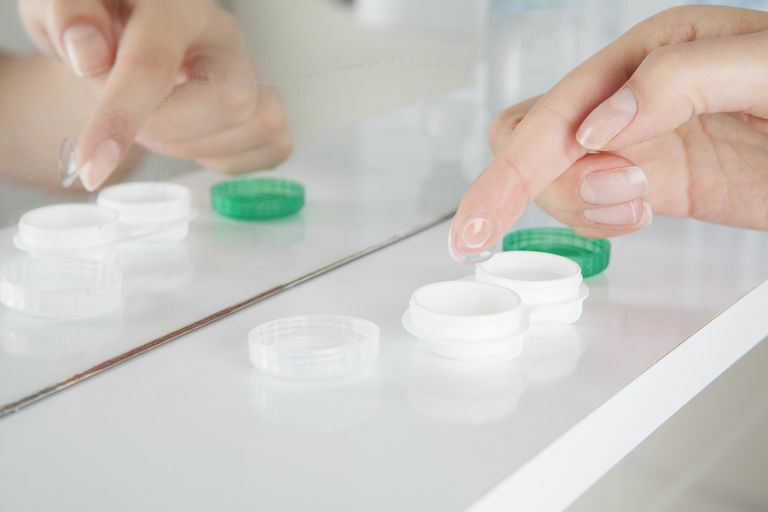 A contact lens exam is meant specifically to fit you with contacts. If you're planning on having a contact lens exam, be prepared for a more lengthy exam than you may be used to. This type of exam is thorough and involves several steps. During a contact lens examination your practitioner will first determine if your eyes are healthy enough to wear contacts. Since contacts actually touch and cover the eyes, your eyes need to be as healthy as possible before you try wearing them. Your eyes will then be measured. Your eye doctor will try hard to get the most accurate measurements possible. These precise measurements will help the practitioner find the right contacts to fit properly and comfortably on your eyes. If you are new to wearing contacts, your doctor will teach you how to insert and remove the contacts from your eyes. He will help you practice and get used to placing the contact lenses in and taking them out by yourself. You will then be taught how to properly care for them, including cleaning and storing. There are two major groups of contacts: soft contacts and rigid gas permeable contacts. Soft contacts are extremely thin and comfortable to wear. They are made mostly of water, which is why they are soft. Soft contacts are divided into four basic categories: spherical (regular) contacts lenses, contacts for astigmatism, contacts for presbyopia, and color (cosmetic) contacts. Rigid gas permeable contact lenses are made of hard plastic that gives crisp, clear vision and corrects most vision problems. They are durable and last considerably longer than soft contact lenses. Some contacts are meant for daily wear. Daily wear soft contacts are worn for one day and then discarded. Other soft lenses and some RGP lenses are worn for a day and then removed, cleaned, and disinfected each night. Soft lenses are usually replaced on a regular basis. RGP lenses may last for years with regular care. Extended wear lenses are worn overnight for one week and then replaced. Overnight wear decreases the amount of oxygen available to the eye and increases the chance of infection. Because of this, some practitioners do not recommend extended wear of contact lenses. Your eye doctor will show you how to clean and disinfect your contacts. Use quality lens care products and clean the lenses as often as possible to remove buildup of bacteria. Be aware that wearing contact lenses for a long period of time can be dangerous. Over-wearing may cause problems, such as blurry vision, pain, and redness due to a lack of oxygen passing through to the eye. Remember that contact lenses are medical devices that must be taken seriously. With proper care, however, you will see better and will have peace of mind knowing your contacts are healthy and safe for your eyes.